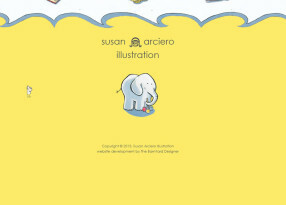 Susan’s website was built by Roaring Aardvark Web Design using her graphic designs. The site was initially programmed using ColdFusion to give Susan an custom administrative backend to login and make edits to the website on her own. After Roaring Aardvark ‘retired’ Susan asked me to continue managing her website and I converted it into a responsive WordPress site.